We're Open Booth! It's a pleasure to meet you! We are an open air photo booth run by a husband and wife duo, Austin and Katrina and we're dedicated to bringing people together, supporting communities, & creating memorable moments. Since our launch in October of 2015, we've taken thousands of photos, worked with incredible organizations and individuals and we even won a couple awards while we were at it. We absolutely love life in Boston and our friends and community here. But our families live hundreds of miles away and we really miss getting to spend time with them, so we decided on a move to the Chicago area. Katrina grew up in the western suburbs and we'll be living very close to most of her family. It will also be easier for us to travel to see Austin's family in Tennessee, Georgia, and Alaska. Katrina is excited to get to know the city as an adult and Austin can't wait to explore all the good food and fun things to do. When will you start booking events here? But you can inquire today to reserve the Booth for your upcoming events! What areas of Chicagoland will you serve? We will primarily be serving the city of Chicago and surrounding suburbs within about an hour drive. That said, we love to make exceptions, so let us know where your event is and we'll do our best to accommodate you! 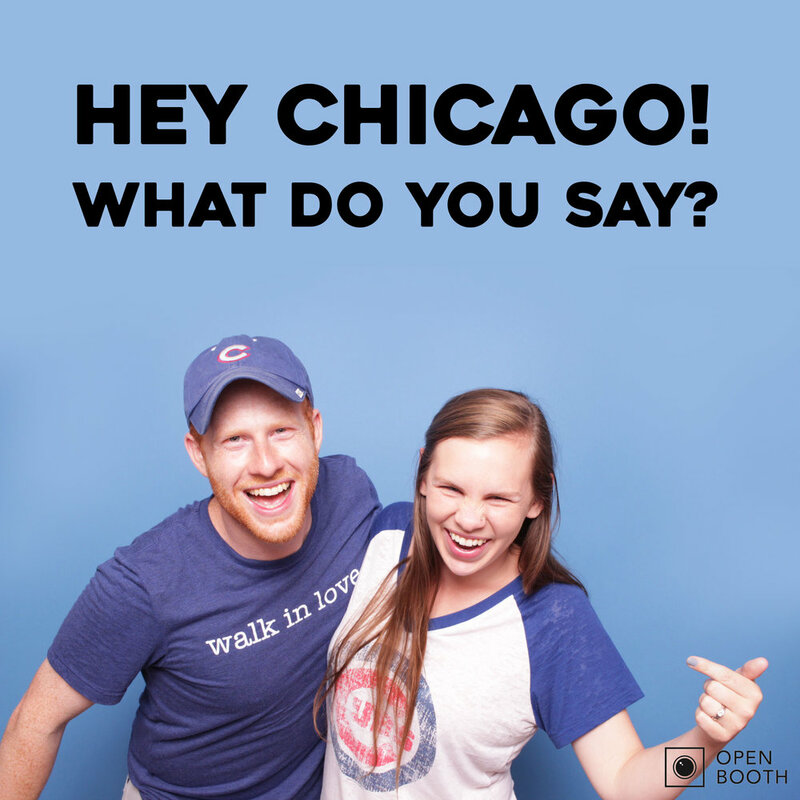 Is anything else about Open Booth changing? Same business, different city. Okay, yes, we did also order new business cards. But our commitment to a fun, personalized photo booth experience has not changed. We value people and we want to make sure we are providing the best services at every event. Let us add some fun to your next party! Chicago, we're excited and we can't wait to get to work!